University of Houston researchers in the Department of Health and Human Performance are helping patients with Parkinson’s disease regain stable balance and confidence in performing daily activities in their own homes. 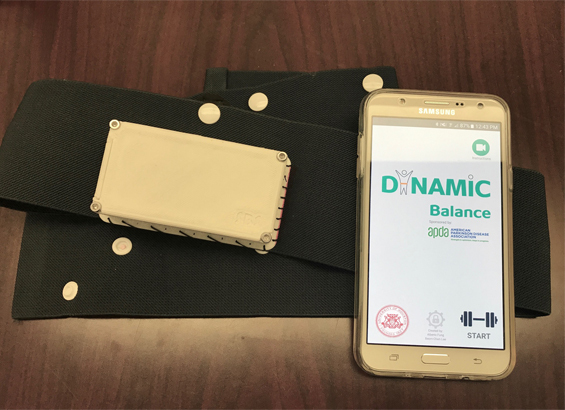 A research team is developing the Smarter Balance System (SBS), a smartphone-based biofeedback rehabilitation system that guides patients through a series of balance exercises using wearable technology. 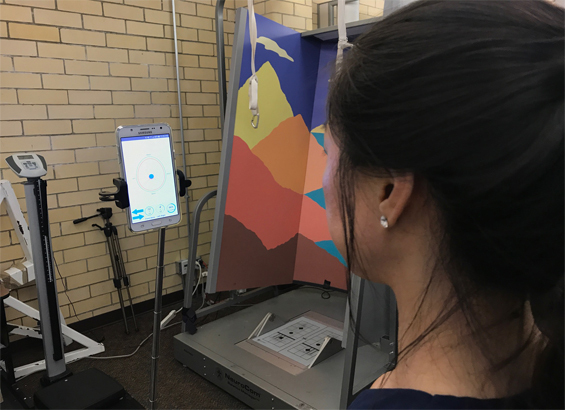 “Our overarching goal is to improve their quality of life by improving postural stability, reducing the number of falls and increasing their confidence in daily activities,” said Beom-Chan Lee, assistant professor and principle investigator of the study, which is assessing the impacts of long-term rehabilitative training on patients using the SBS system developed by Lee’s team. The custom, wearable belt lined with vibrating actuators creates a personalized, in-home rehabilitation program with “touch guidance” based on a patient’s individual range of motion. Each subtle movement is mapped in real-time for “visual guidance” using a series of dots and targets on the smartphone application. “The smartphone application records and creates a custom motion for their body tilt based on their individual limits of stability. 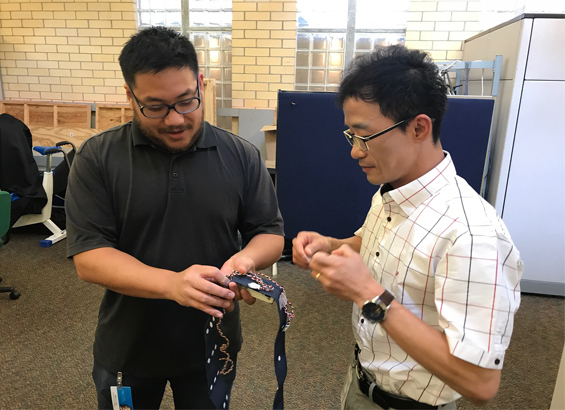 The touch guidance from the vibrating actuators is almost acting as if a physical therapist is guiding them,” said Alberto Fung, a UH graduate student and part of Lee’s Sensori-Motor Augmentation & Rehabilitation Technology (SMART) Research Group. Parkinson’s disease is a progressive neurodegenerative brain disorder affecting at least 10 million people worldwide, and there is no cure. Primary motor impairments include tremor, muscle rigidity, bradykinesia (slowness of movement) and postural instability. Studies have shown that about 60 percent of people with Parkinson’s disease fall annually, and two-thirds of those people experience recurrent falls. Medication, or in some cases deep brain stimulation surgery, can help manage many of the symptoms. However, postural instability, or weakness in posture causing falling, is not responsive to medication and surgical treatments and more challenging to treat. All of the information collected by the system is uploaded to an online server and potentially can be accessed by doctors and physical therapists to track a patient’s progress or adjust the exercise regimen. This technology could be used by anyone experiencing balance issues, including the elderly. The current average life expectancy in the United States is 79 years. Lee calls it a “major motivation” to be able to help the aging population too. Technical improvements are currently being made to the system followed by more human subject testing. Parkinson’s patients who tested the belt during a 6-week home-based study showed “noticeable improvements,” according to Lee. He hopes to commercialize the technology as early as next summer. Funded by a research grant from the American Parkinson Disease Association (APDA), Lee recently presented his progress to the APDA Scientific Advisory Board. The board recently provided nearly $1 million in funding to both experienced and emerging young scientists in the Parkinson’s field.